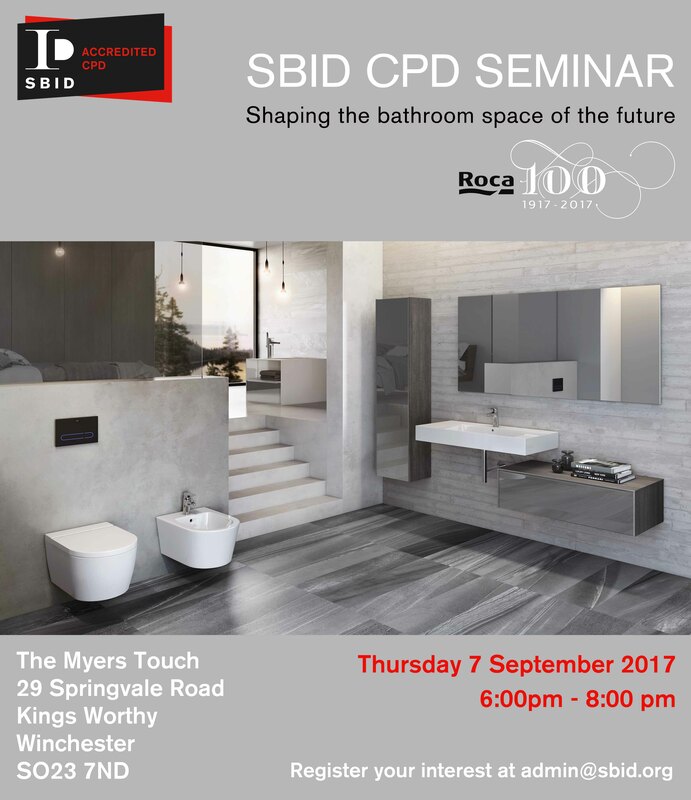 Join the South West team in Winchester, for the free SBID accredited Roca CPD seminar titled “Shaping the bathroom space of the future”. Using a number of macro trends as the starting point – such as urbanisation, climate change and the internet of things – this CPD makes the argument that future bathrooms will be “smart, sustainable and versatile”. Covering some of the key innovations and product solutions that are currently available to professionals wishing to design future-proof bathroom spaces, the seminar also looks to the future, highlighting new ideas and inventions that may soon become mainstream. The Roca Group CPD aims to identify factors affecting both product development and general bathroom design, while highlighting new technologies and innovation in the bathroom environment. Attendees will come away with deeper knowledge of the importance of design details from the conspicuous to the overlooked, while networking over light refreshments. The South West Regional Director is Keith Myers. For more information about local events in the south west region, click here to visit the Facebook page .